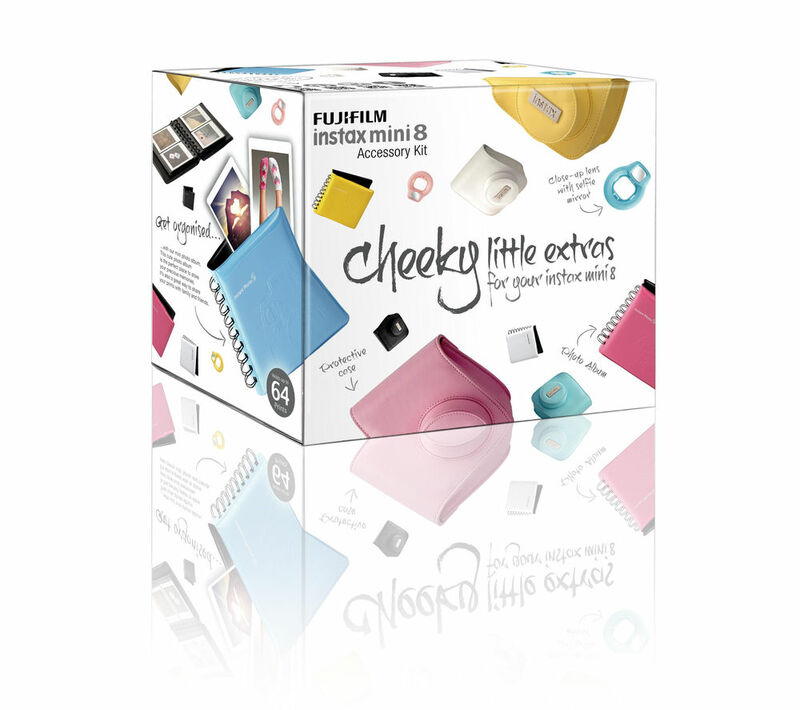 Kit out your Fujifilm Instax Mini 8 Camera with the fun and stylish blue Fujifilm Instax Mini 8 Accessory Kit. Get up close and personal with the close up lens and selfie mirror. Putting an end to poorly framed selfies, simply mount the close-up lens with self shoot mirror onto your Instax Mini 8 Camera. The Instax Mini8 Accessory Kit also comes with a handy bespoke protective blue case. Ensuring you're fashionably co-ordinated, this cosy little case will keep your Instax Mini8 Camera protected when you're on the move.